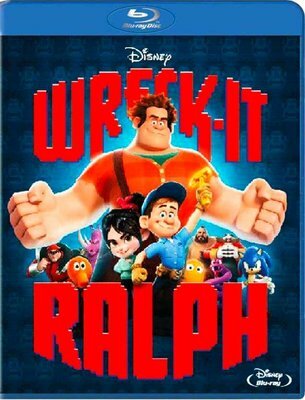 Wreck It Ralph is the PERFECT family film: it has more than enough to satisfy the young ones as well as offering grown-up humour and nostalgic characters for the adults. Set in the world of arcade gaming, there are lots of appearances from well-known faces from games as diverse as Street Fighter; Pac Man and even Sonic The Hedgehog. Ralph is the bad guy in the in the "Fix It Felix" game. But after years of being under-appreciated and taken for granted Ralph just wants the chance to be a "good guy", so he decided to go game-hopping. But his actions have consequences and without a villain in his own game, Felix has to go find him. Ralph and Felix encounter more good and bad guys on their travels as they come up against a threat that puts the entire gaming world at risk. 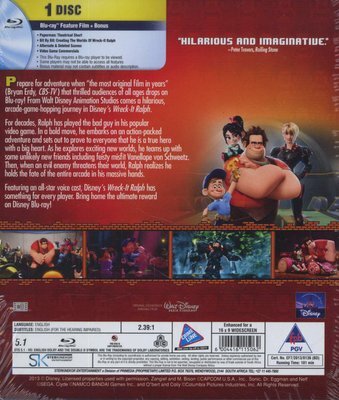 And the adventure they all go on is one of the greatest animated films since Wall-E and Up. 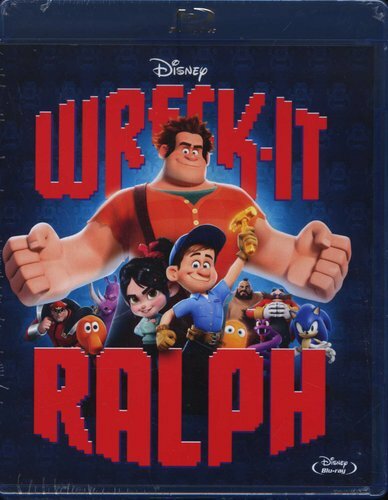 From Walt Disney Animation Studios comes a hilarious, arcade-game-hopping journey in Disney's Wreck It Ralph. For decades, Ralph has played the bad guy in his popular video game. In a bold move, he embarks on an action-packed adventure and sets out to prove to everyone that he is a true hero with a big heart. As he explores exciting new worlds, he teams up with some unlikely new friends including feisty misfit Vanellope von Schweetz. Then, when an evil enemy threatens their world, Ralph realizes he holds the fate of the entire arcade in his massive hands. Featuring an all-star voice cast and breakthrough bonus features that take you even deeper into the world of video games, Wreck It Ralph has something for every player.